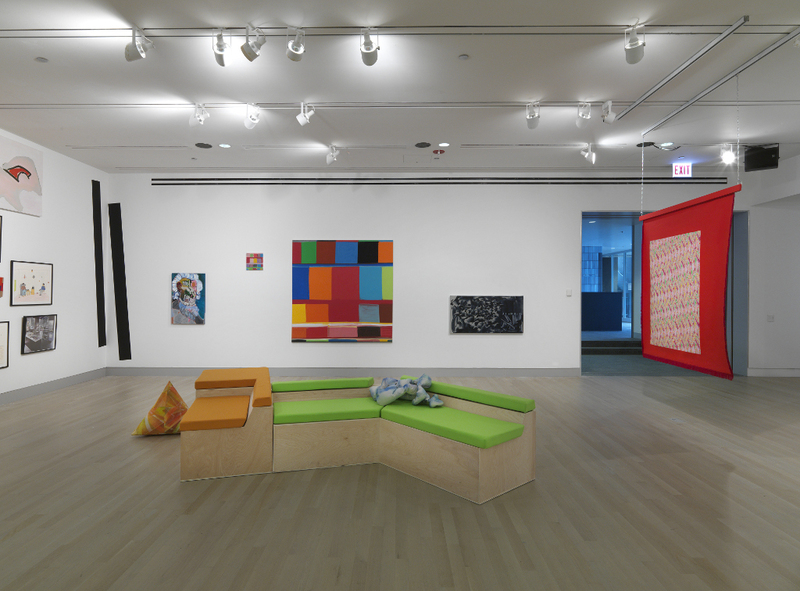 Installation view of Szalon at the Logan Center Gallery. 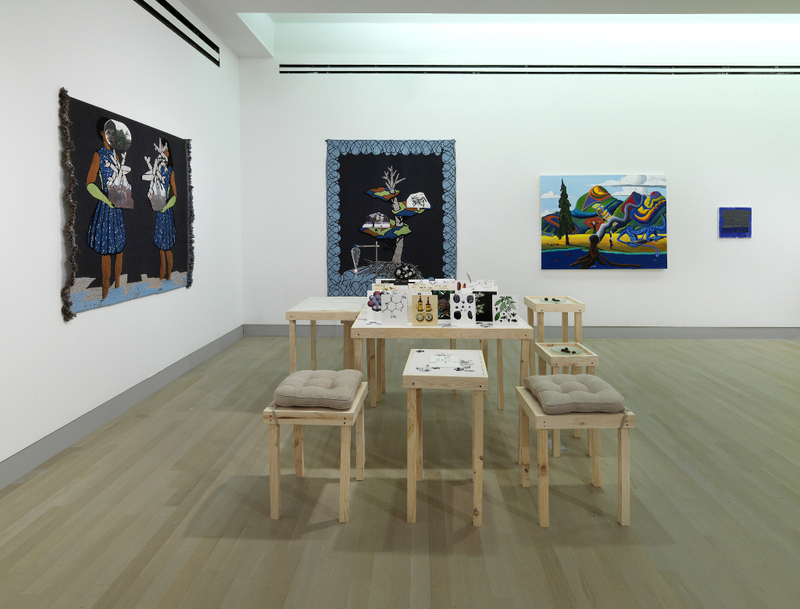 Featuring works by Lawrence Paul Yuxweluptun (far left), Mina Totino (far wall, center), and Hannah Givler and Katherine Harvath (on floor, center). Photo by Tom Van Eynde. Featuring special performances by Otobong Nkanga (10:30 am–6:30 pm) and Derrick Adams (7:30 pm). For further details see events listings below. 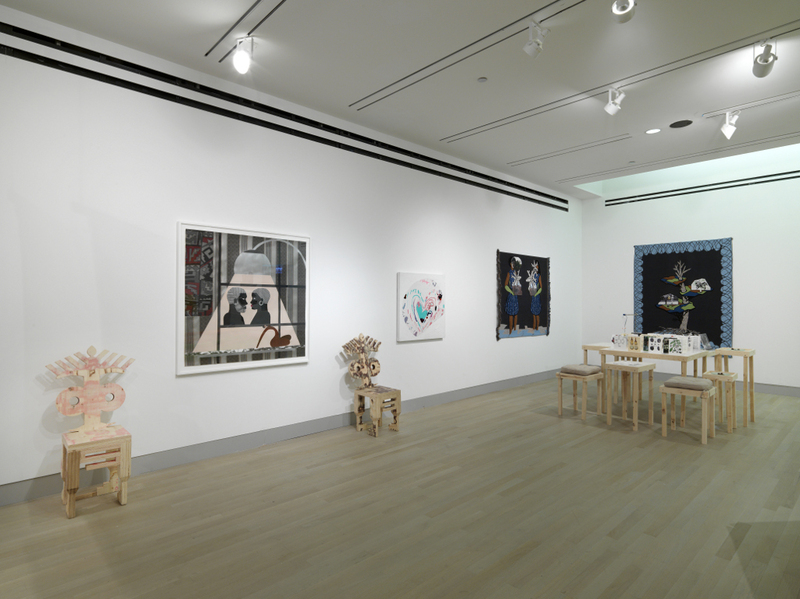 Featuring Derrick Adams, Lisa Alvarado, Holly Cahill, Neil Campbell, Patrick Chamberlain, Jim Denomie, Nicole Eisenman, Alonzo Lee Evans, Krista Franklin & RJ EL, Gabrielle Garland, Liam Gillick, Hannah Givler & Katherine Harvath, Marva Pitchford Jolly, Robert Kelly, Elizabeth McIntosh, Tim Nickodemus, Otobong Nkanga, Paulina Olowska, Annie Pootoogook, Napachie Pootoogook, David Reed, Martha Rosler, David Schutter, G.L. Smothers, Mina Totino, Ramyar Vala, Stanley Whitney, and Lawrence Paul Yuxweluptun. Taking equal inspiration from the heterogeneous spaces of the studio and the salon, Szalon [pron. sha-'lon] makes room for an idiomatic place where the practice of showing and telling can flourish. Here, art is lived with and worked on, amidst (and sometimes as) conversation, storytelling, wordplay, rehearsal, research, exercises of judgment, and causes for debate. What constitutes a ‘good hang’? 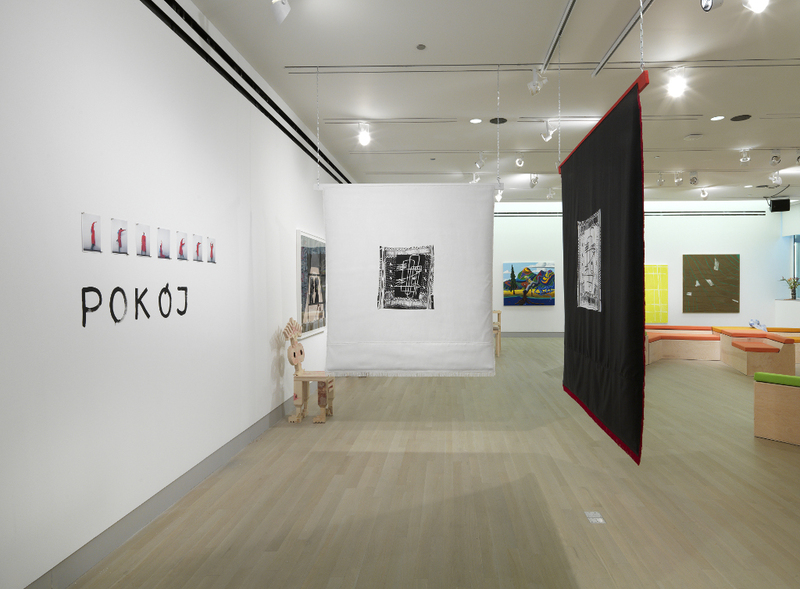 How does the exhibition space become a place to ‘hang out’? 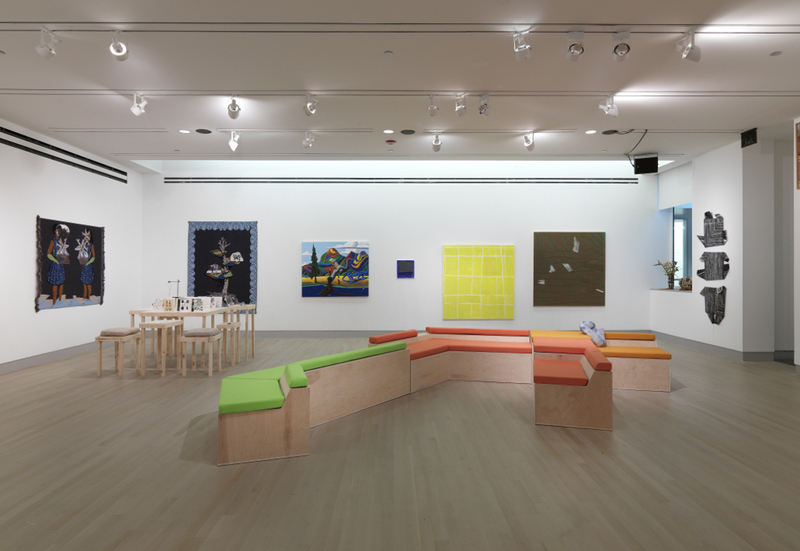 How does the gallery become a curatorial studio? (How) can truly distinct artistic impulses – in the form of paintings, collages, prints, furniture sculptures, social sculptures, television programs, performances – coexist and thereby thrive? Can artworks live fuller lives when they are not classified? Or is there always a class imaginary involved in the construction of space, perhaps the dream of a new kind of middle [class]? These questions have been in the back of our minds as we contacted artists and collectors whose work we admire and whose studios and salons have been sites of memorable conversations. 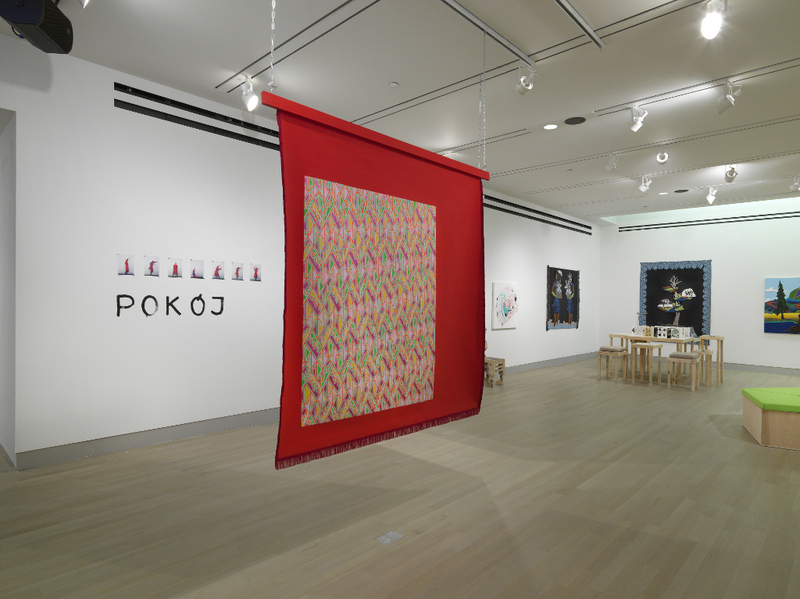 The selection of works was personal and ponders the possibility of peaceful coexistence in the world—however ‘crazy’ that may sound. Adjacent to the exhibition in the main gallery, a presentation of fragments and photographs related to the artistic, educational, and hosting activities of Lorado Taft (1860–1936) in Midway Studios at the turn of the last century serves as another important anchor for a project that must remain open and multivalent. Szalon is dedicated to the late Belgian curator Jan Hoet (1936-2014), whose exhibitions such asChambres d'Amis brought value to the private zone or the private home as a space to experience art and whose insistence on intuition as a guiding force in exhibition-making we keep alive after his passing. It also honors our own close neighbors—the collectors' collective Diasporal Rhythms, who celebrated their tenth anniversary with an exhibition at the Logan Center gallery in the fall of 2013 and whose Annual Home Tour departs from the Logan Center once again in 2014. Two of the collective’s members, Patric McCoy and D.E. Simmons, have generously lent works to the exhibition. 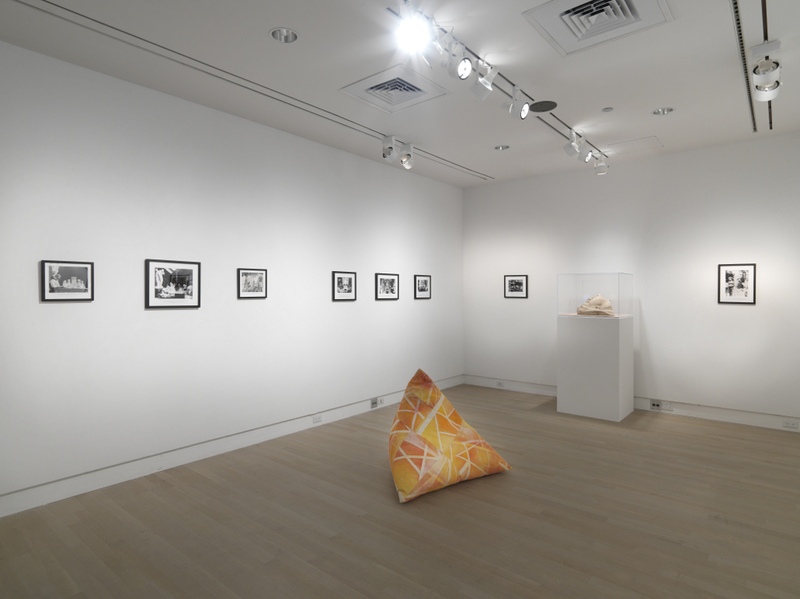 Curated by Monika Szewczyk (Visual Arts Program Curator, Reva and David Logan Center for the Arts) with the assistance of Katherine Harvath (artist and Curatorial Assistant, Logan Center Exhibitions). Graphics by David Giordano. Presented in collaboration with the University of Chicago’s Open Practice Committee/Department of Visual Arts; the Arts, Science & Culture Initiative, and the Richard and Mary L. Gray Center for Arts and Inquiry. Raven Chacon and Kade L. Twist, members of the interdisciplinary arts collective Postcommodity, give a special presentation on their work. Otobong Nkanga performs a series of tête-à-tête’s with audience participants over the exchange of a kolanut, a light stimulant native to Africa traditionally ingested at social and religious events. Conversations take place over scientific illustrations, archival documents, and literary accounts of the botanical’s history. Derrick Adams performs a musical interpretation of white, gray, and black noise composed by Philippe Treuille with video projection by Ramon Silva. Using live sound and video, The Entertainer uses graphic imagery inspired by Russian Constructivism and propaganda to comment on media bombardment. An annual series of collector’s home tours organized by Diasporal Rhythms, a unique collectors’ collective focusing on contemporary art of the African diaspora. 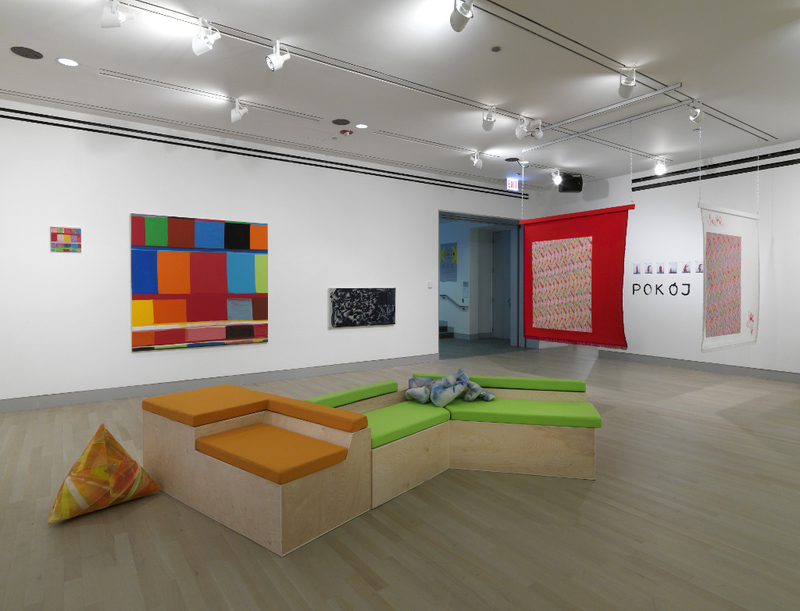 A trolley departing from the Logan Center takes guests through several private art collections on Chicago’s south side. General $40, students $20. 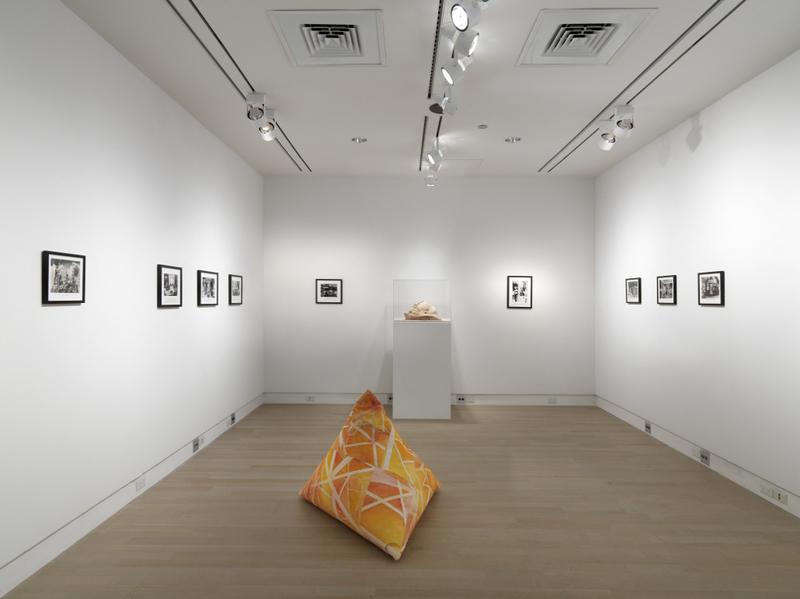 Lynne Cooke and Josiah McElheny discuss artist conceived and curated exhibitions as part of the Council on Advanced Studies’ Departmental Visitor Series Rethinking Exhibitions. 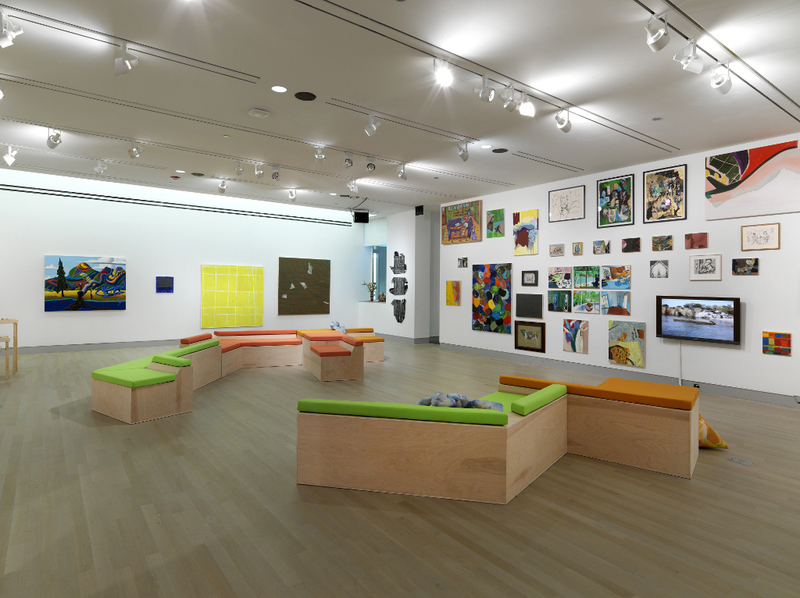 Organized by Jessica Stockholder. 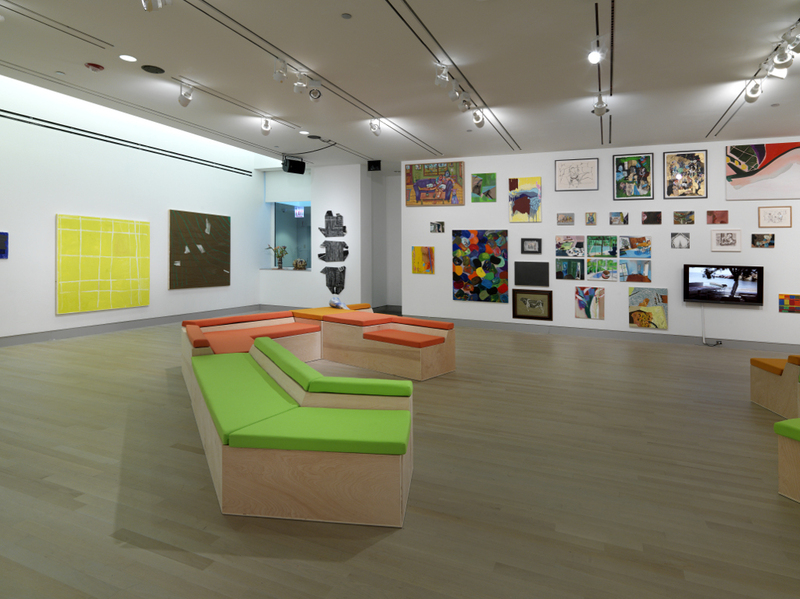 David Reed and Jessica Stockholder discuss artist conceived and curated exhibitions as part of the Council on Advanced Studies' Departmental Visitor Series Rethinking Exhibitions. 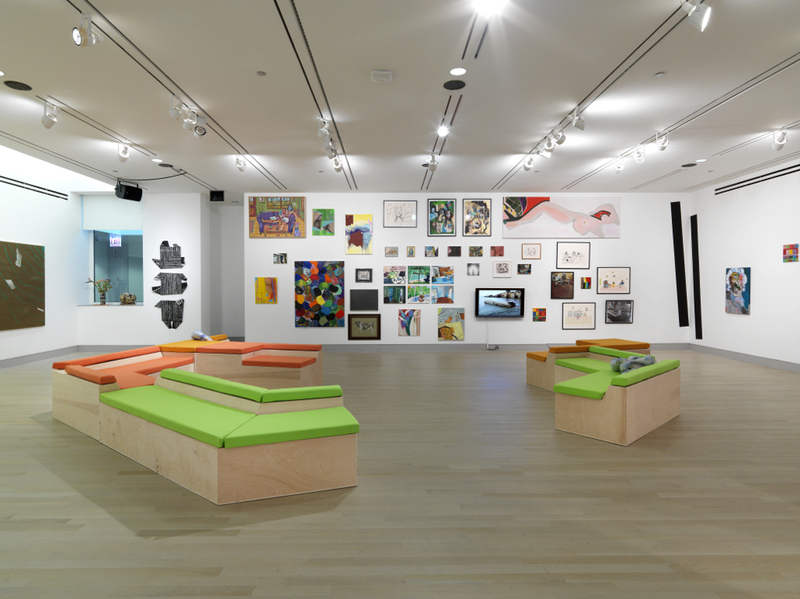 Organized by Jessica Stockholder.